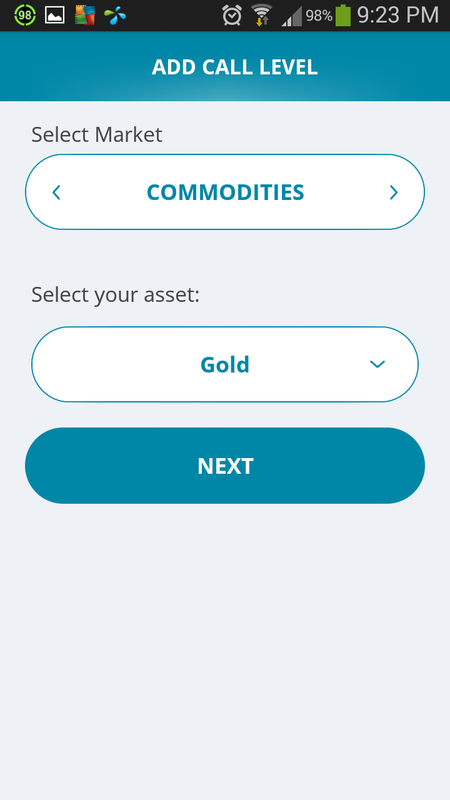 In November last year, some of you would have remembered I posted an interview with Daniel Chia who's the co-founder of this new app "Call-Levels". It was only available on the Apple's iOS back then. This week, i got an invitation to try out the beta version of the app on Android. My phone is Samsung so I had waited 2 months before being able to use this app. The interface was very user friendly and easy to use. A lot of effort has been put into the design of the interface. 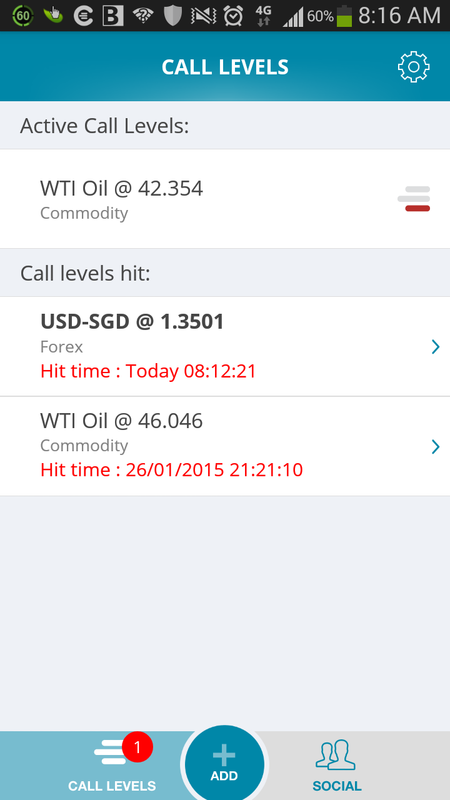 It is simply a market alert tool which will notify you when prices hit your threshold. You can even add email cc list of people who want to follow your call levels. Just tap on the centre and drag up and down to the call levels you want to be alerted on. It'll show you the percentage difference from your alert levels. Once you're done, just tap on SET CALL LEVEL and you're done. 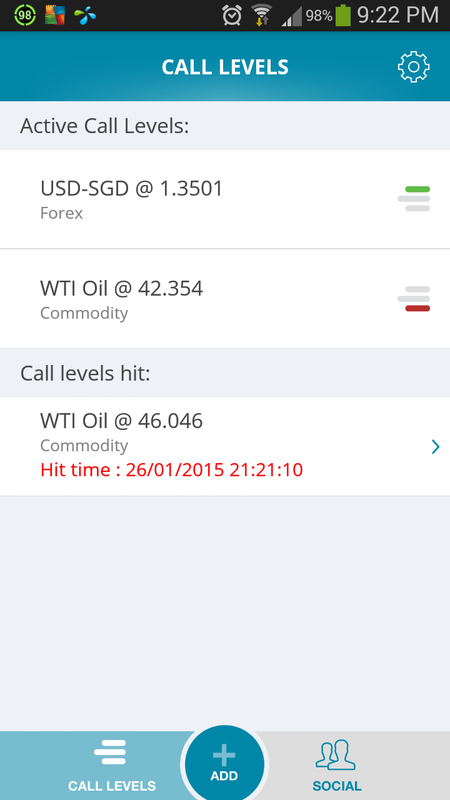 I set an alert for WTI Oil @ 46,046 and it hit on Monday. Oil went up! I set another alart for USD/SGD at 1.3501. This level hit on Tuesday. US dollar is still going strong. I'm now smiling away as I still have a few thousand dollars worth of USD which I exchanged when the rate was still at 1.24. If you're using Android, you can download it for free on the Play store now. For iPhone users, the app is also available on Apple's app store. The limitation is you can only set 3 alerts. You can set more levels when you share the app with your friends on social media. Try it now for free today! I'm on Android and can't wait to try out this app. Unfortunately my phone is too big and is classified as a tablet, and the developers are telling me the tablet version is only out sometime next week. All About Oil Prices - Who Suffers or Benefits?